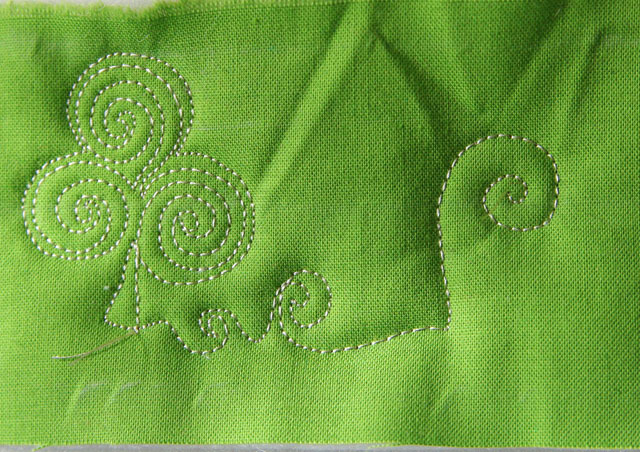 Today, I am working on a St. Patrick’s Day Doodle Quilt Giveaway! The quilt is scattered with lucky clovers–hope you are the lucky winner! 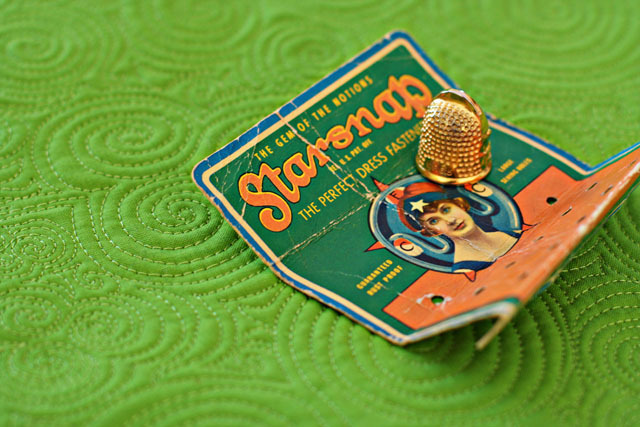 Just a few stitches left…the winner should have this in time for St. Patrick’s Day! Just answer one question for me in the “Comments” section…. Would YOU kiss the Blarney Stone? (maybe you have already?) Comments will be accepted through Sunday, March 10th. 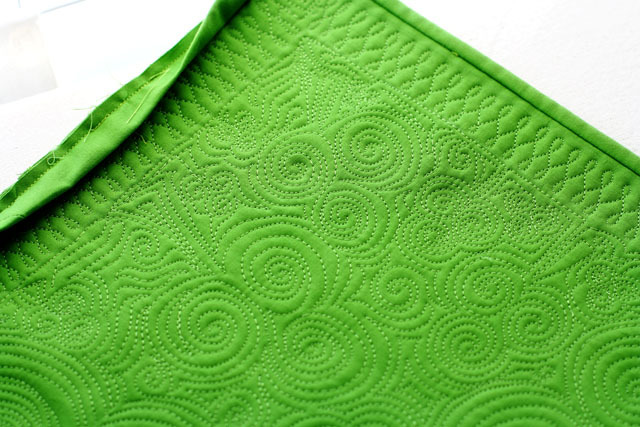 Next week’s Tuesday Tutorial will be the Free Motion Quilted Shamrock! my mom did even when the locals told her it was kinda disgusting! Sure I would! It’s in Ireland, right?… some place I would absolutely love to visit some time!! If given the chance, I would do it! 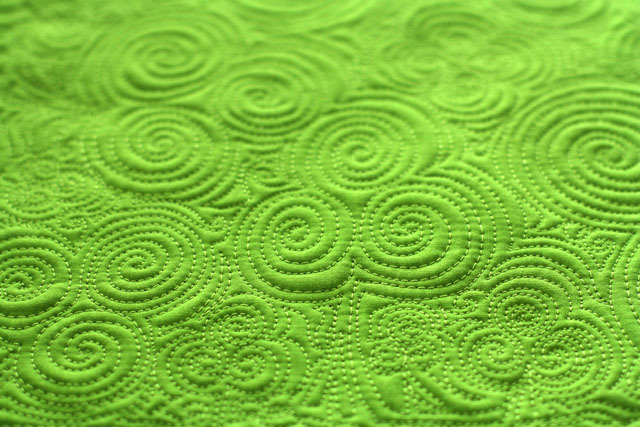 I love your shamrock quilt…the perfect bit of green for St. Patrick’s Day! Someday I hope to have the chance. I haven’t know anyone who has but I surely would. Your shamrock shake is just gorgeous! My husband would love this. I must admit that I would not kiss anything that I really don’t know what it is, but don’t tell my husband because he is part irish! Ireland is next on our travel list, but we probably won’t get there for a few years. I’m sure we’ll kiss it! I may be going against the flow, but no kissing the blarney stone for me, just a picture would do. I would definitely kiss the blarney stone! Lookinng forward to next week’s tutorial. Ok, I will too!! Love your site and thanks for all the wonderful tutorials. Sure, why not? Now I’ll have your beautiful doodle quilting in mind as inspiration if I ever get to Blarney Castle! Yes, it’s been my dream now for many many years….. Yes, it would be awesome to see! lovely quilting!!! One of these days, I’ll get to kiss the rock! It is on my Bucket List. 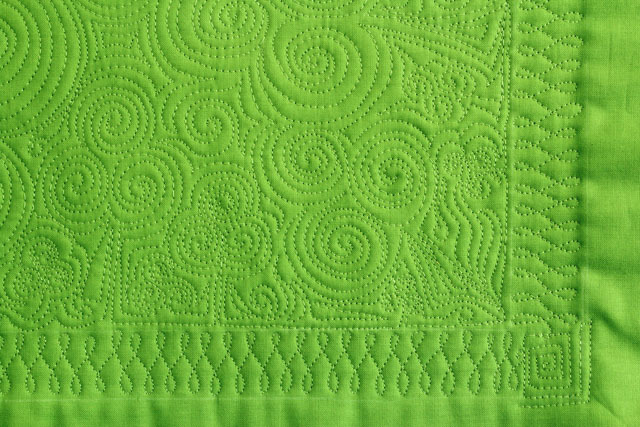 In the meantime, I would LOVE to win your beautiful St. Paddy’s Day quilt. I have just discovered your wonderful blog & signed up to receive your postings via email just last week. How LUCKY can you get? I would! Closely followed by a sanitizing wipe! I’d santize first then kiss. As I understand it, you have to lean over backwards, and since I have vertigo I don’t think it’s a good idea for me to kiss it. But I’d love to SEE it, lol. It looks absolutely adorable. 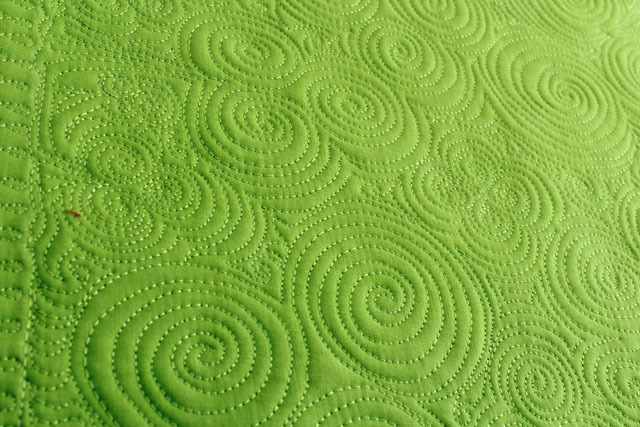 Top notch quilting! Congrats! I *have* kissed the Blarney Stone~! My mother made me. 😀 If she wasn’t in terminal cancer stage, watching from the ground, I would have chickened out. You have to lean way over the edge, and it seems you will fall to your death! I guess I never thought about it, but if I were in the area, I might! I have not…but would!! The green fabric says spring . Love it. No, I wouldn’t kiss the blarney stone, but I would love to squeeze this quilt, it’s beautiful! Yes I would kiss the Blarney Stone. I love what you are doing! I kissed the stone in 1988 – not at all what I expected. I walked to the top of the castle up an old narrow stone staircase following a very large English woman in heels. I watched her feet the whole way up bracing myself in case she missed a step and came tumbling down on me. I most definitely would! Heck, I would probably be so happy to be in Ireland I just might kiss some sheep as well! After a couple o’ Pints of course!